Marble is a beautiful material and adds to the elegance of any place it is installed at. Italian marble countertops make your kitchen look magnificent. There is one thing which intimidates people when it comes to marble countertops though; the fact that they are easy to damage. There is no reason to be worried about the marble etching or chipping away as long as you maintain it properly. 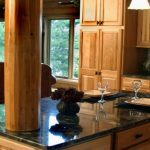 That is where most people make mistakes and ruin the look of their countertop. They treat it like any other material even though marble is something special and requires different cleaning materials and methods. Here are 4 steps to take care of your countertops in the best way possible. Marble is a fantastic material, but it is a carbonate, and carbonates react with acid very easily. This means if you drop a glass of citric juice or any liquid, which is a bit acidic, there is a danger of the marble being stained permanently. 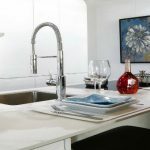 The simplest solution is to keep a soft cloth handy in your kitchen in case you accidentally spill an acidic liquid on the countertop surface. Just sweep up any such liquid quickly and it will not leave a permanent mark. Don’t wait until you are done cooking and eating to clean the spill. Wipe it away as soon as you can. Many cleaners use citric compounds or have vinegar in them. This is the easiest way to damage your marble countertops. 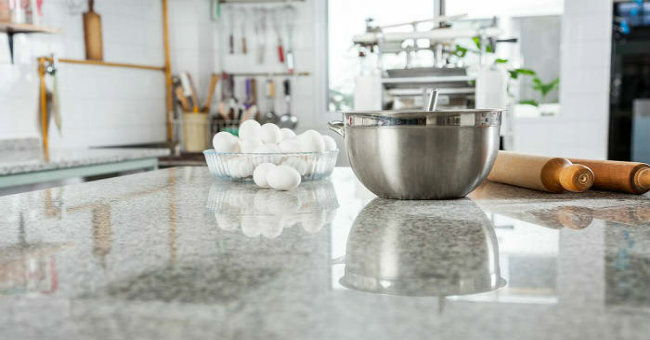 People typically clean their marble countertops everyday without realizing that they are making the marble look worse with every clean. This mistake is easy to notice. Whenever you see marble that is etched, citrus-based cleaners are the culprit. Over time, the marble erodes away due to the cleaners and is no longer smooth. Lemon juice and vinegar are commonly used household cleaners, but they should never be used on marble. If you want your marble countertops to be clean and shiny, use the mildest soap you can and clean it in gentle, straight motions. 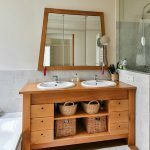 You don’t need any special cleaner and you neither need to put in any extra effort. Marble isn’t hard to clean while other materials are. 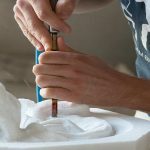 Therefore, majority of the cleaners are usually made extra strong to work on those other materials. There is no such requirement for marble. 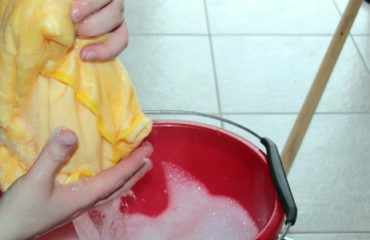 Just add a bit of soap to warm water and use a soft cloth to wipe away all the spots. Use another cloth to wipe away the soap and you are done. Marble is inherently porous. This means that liquids can seep into it. The simplest solution to this problem is to apply a sealer on the marble once every month. Sealers seal the pores in marble and thus prevent liquids from being absorbed by your countertops. Sealers are inexpensive and can be easily bought from any store that sells home care supplies. For any additional questions regarding this particular or other topics about marble or granite, feel free to contact us. In case you are pursuing a remodeling project and looking for a reliable marble and granite slabs supplier of genuine Italian stone, we invite you to contact us. 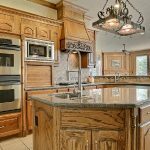 As a leading importer of the authentic Italian marble and granite in Houston, TX as well as in the entire nation, we will be able to help you with any renovation project. Moreover, since we’re the only direct importer of the authentic Italian marble, when ordering your stones through us, you’ll get the best price on the market. We carry only genuine Italian marble and granite stones in our inventory and we can help you get authentic Italian stone for your countertop island, flooring or wall tile needs.